Amazon’s drones do fall apart in-flight and it’s a feature, not a bug. 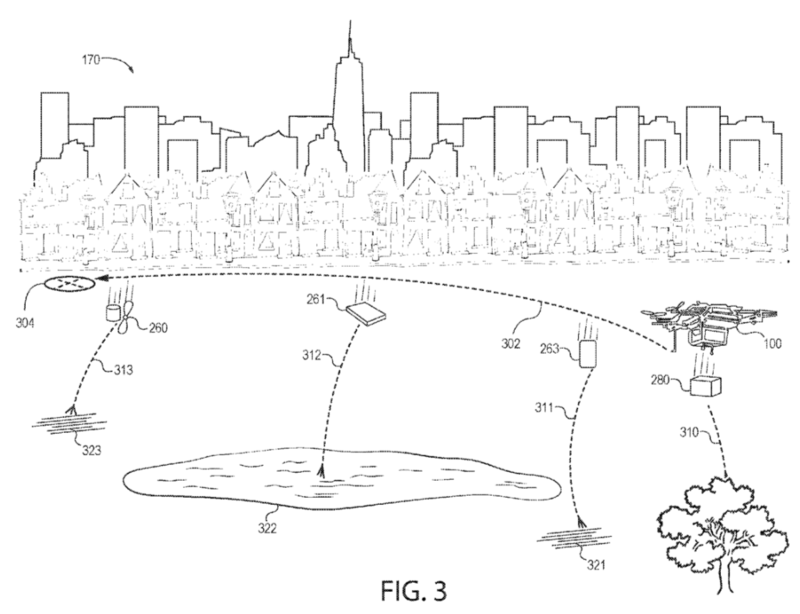 On November 28th, Amazon was awarded a patent for “Directed fragmentation for unmanned airborne vehicles” better read as, self-destructing drone. Directed jettisoning of parts of the aircraft could reduce weight and allow for continued flight in the event of a disruption. In the event that continued flight is not possible, individual segments of the aircraft and its payload can be dropped in areas less likely to impact people or property below. An embodiment of Amazon’s design for the fragmentation process. Amazon’s delivery drones are 55lb and can carry up to a 5lb package. They have indicated that they wish to operate between 200ft and 500ft AGL. If you calculate the impact force of a 60lb aircraft falling from 200ft, you will get smacked 16,255 joules (just under 12,000 ft/lb) of energy on impact. Now, I’m not a physicist, but I imagine that kind of impact would likely ruin your day/week/month/life. As Amazon and other companies begin evaluating unmanned systems in earnest, the demand for pilots will likely go up. Now is the perfect time to think about becoming a certificated Remote Pilot! If you’re thinking about becoming a drone pilot, this is a great place to start! Previous	Is Drone Maker DJI Sending Data to Chinese Intelligence Officials? NextPlan on Flying Your Drone This Winter?